Colin & Anita Pownall from Warrington, in the North West of England. This is a mens and ladies supper meeting in the Captain Elles Hall of the Knox Church. 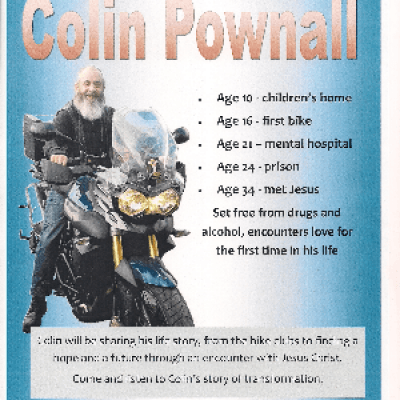 Colin Pownall grew up not knowing love from his family, feeling rejected. He became a drug addict, alcoholic, motivated by hatred and violence towards everyone. 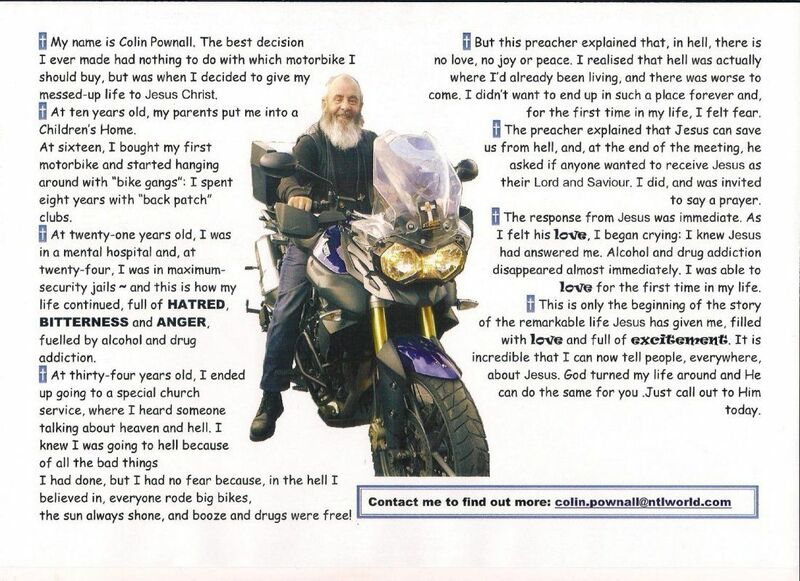 He spent 8 years with patched motorcycle gangs and broke almost every law that God gave Moses, resulting in him spending time in maximum security jails. When Colin became a Christian his life was transformed. He felt love for the first time in his life, & the alcohol & drug addictions disappeared. He could now love others, even those he previously hated the most. Jesus set him free and gave him a desire to tell the world what God has done for him. Be sure not to miss his amazing story. Cost: $10 pp for supper.